We are a group created in 1992, dedicated to the production, distribution and export of dietetic products and food supplements. We offer high quality products manufactured in the European Union (EU). Nowadays our brands are promoted internationally in more than 40 countries. 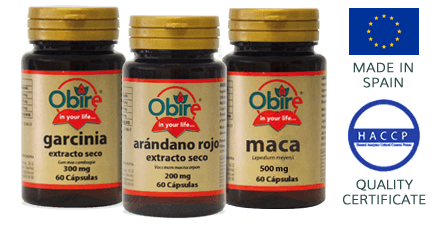 "Obire is the most competitive brand in the national Market for Herbalist´s and Parapharmacies"
Grows together with us, Obire is a Spanish manufacturing, distribution, marketing and export company of dietetic products and food supplements. Since you fascinated to work with major brands, Obire is your key partner to make your business grow. With over 20 years of experience, Laboratorios BIO-DIS is one of the leading Spanish firms in the sector of food supplements. The company has a broad portfolio of own customers, retailers, wholesalers and distributors in Spain and internationally, our products are present in more than 40 countries. The quality management system is based on ISO 9001: 2008. Our objective is to meet the needs and expectations of the most demanding customers and markets. Our organizational structure and material resources ensures the whole manufacturing process of our products. 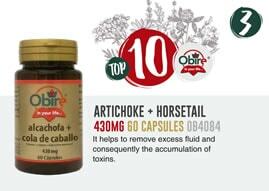 We offer a wide range of products with more than 125 natural products for Herbalist´s, parapharmacies and health food stores. Nationwide delivery in 24-48 hours. We also offer support point of sale. Merchandising. 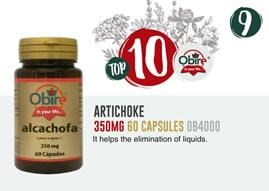 The line of food supplements Obire is aimed at retailers / retailers Herbalist´s, health food stores and parapharmacies as well as Cash Wholesalers and Distributors. 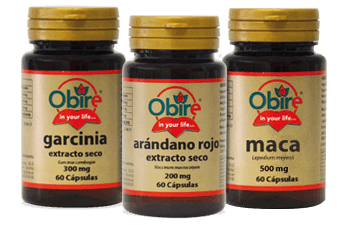 Obire is composed of more than 125 references, divided into: Amino Acids, Vitamins, Multi-Vitamins, Minerals, Weight Control Products, Essential Fatty Acids and Special Supplements. 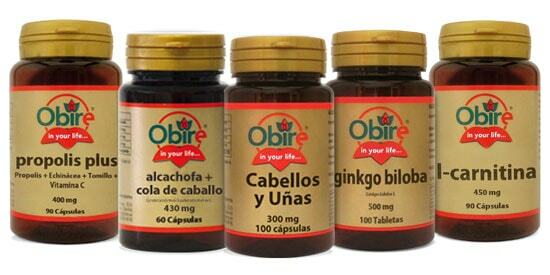 In Obire we offer quality and warranty on all products. 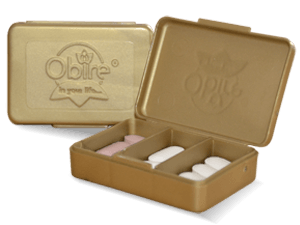 The company controls the entire process from manufacturing to packaging, and this guarantee the highest quality of our products. Our company has the "Certificate of Quality" ISO 9001: 2008.